Are you familiar with the feeling of being tired of urbanism? In a closure of a hard day you can’t but feel like having an Intermezzo. It is then when you want to replace everyday well of strong coffee with a cup of crystal clear spring water, alarm clock – with a birdsong, car exhaust – with hugs of mountain fog, TV-staring – with spectacular flora and fauna and books – with reading star alphabet that endless amount of texts is written with. Sounds attractive? Then you should try eco-tourism. Goal of green tourism is not only to show people true beauty of Earth and help feel oneself a part of nature but also to make tourists responsible and civilized, teach them to treat ecosystem with care and protect it. 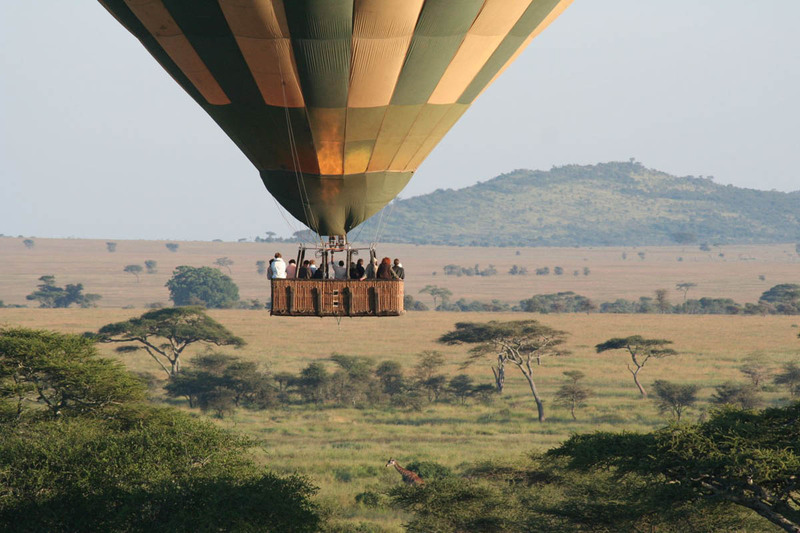 The idea of eco-tourism first originated in Africa – it was year 1950 and legalization of hunting required recreational areas; this triggered development of hunting ranges, various parks and reserves. Today, when lands get overgrown with concrete, iron and glass, there are few places that still preserve their authenticity. However demand for green tourism constantly grows, people become excited about seeing wonders of pristine forests and fields. On top of it, this kind of tourism cannot be called a risky one yet travelers get emotions, adrenaline and sense of true adventures in plenty. Miracle areas that attract tourists exists in as nearly as every state, with lost territories being most interesting, they thrill and impress with their incredible scenes. “Impressions” is a person-specific notion: some would fall for unruly green thicket; others would lose their heads because of Scandinavian landscapes. Still, tourists are probably shocked the most by discovering unfamiliar horizons in own country. Paths of Latin American countries are popular among “green” travelers. 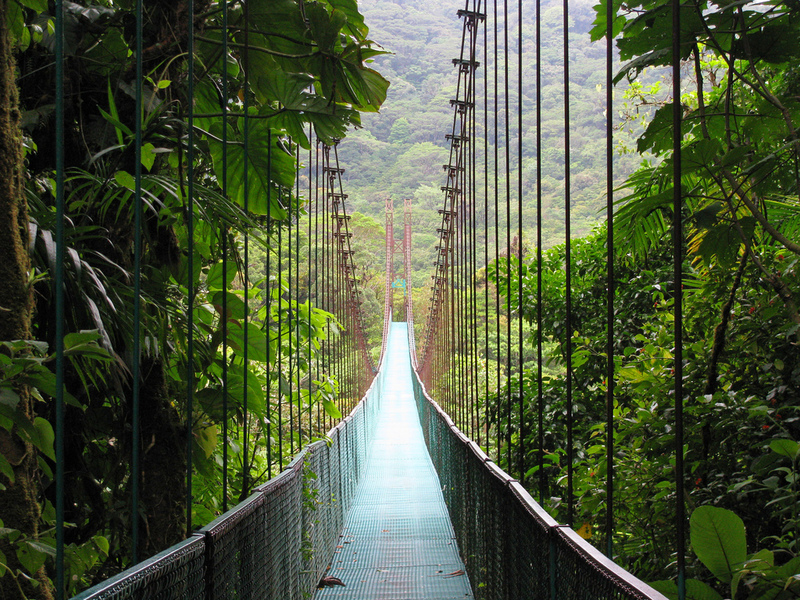 We’d like to pay special attention to Costa Rica – a small state with impressively rich flora and fauna. Costa Rica hasn’t followed the lead of its neighbors that use forests as wood and preserved the world’s most splendid ecosystem till our times. City of Puntarenas, where a whole range of unique natural parks is concentrated, deserves particular attention. It will just suffice to mention Monteverde – a mountain reserve in the north of the country. So called Cloud Forests – high-altitude jungle that grow in the area of fogs condensation – occupy its entire territory. Planted area is huge – over twelve thousand hectares inhabited by over a hundred rare animals and about four hundred bird species that are included to IUCN Red List. Alongside everything else, Monteverde charms with its orchids – there are over five hundred types of them there. However, it takes significant efforts to get there: due to uniqueness of the ecosystem attending of Monteverde is strictly limited: only 150 tourists are allowed on the territory in one day and it is really hard to get the nod. If you are an admirer of adrenaline-filled time off, doors of Selvatura Park are opened for you. 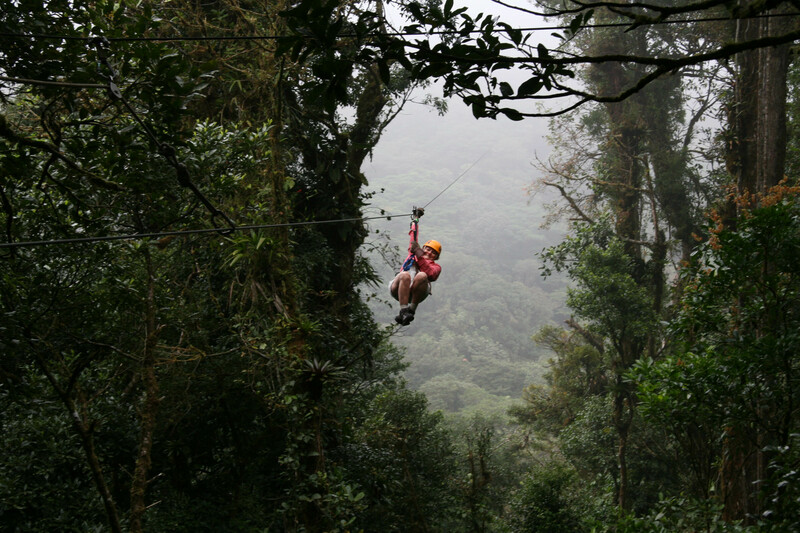 Besides amazing tropical nature, this place is famous for its canopy tours. It is a kind of tour that implies speed descent along tightropes between trees. All in all there are fifteen tracks like that and eighteen viewing platforms in Selvatura. Safety of rope descents is of top quality. 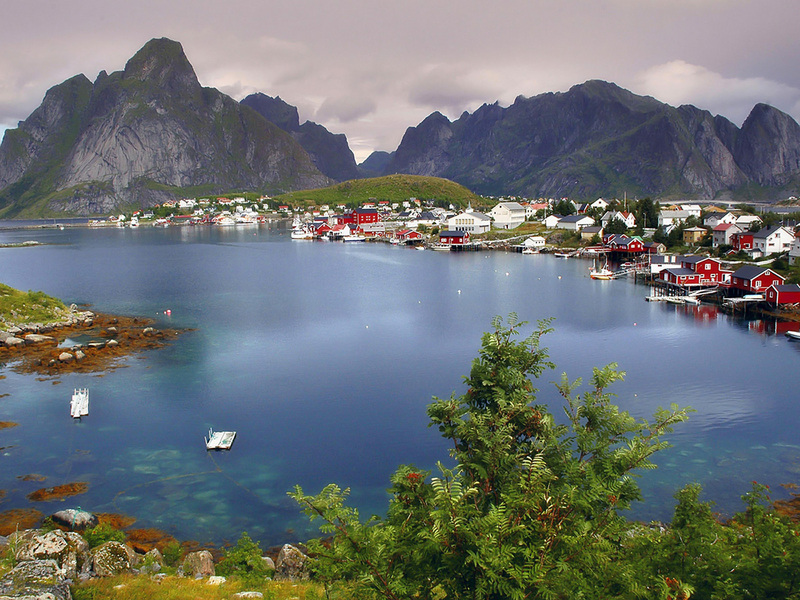 Norway lures globetrotters with its lakes, silver fish, fjords and infinite snows. So cold on the outside, this Scandinavian country will give you an unusual sense of coziness and warmth inside. We suggest that you first of all visit Lærdal: you’ll find numerous fjords, colorful ancient houses and sea there… All these create an overwhelming Scandinavian atmosphere; it seems like any minute a large Viking will sail in his boat to the cold of North Sea. There is also a salmon river called the River Lærdalselvi with a namesake museum situated nearby. It is a fisherman’s heaven there. One can catch a huge fish there and cook it for dinner. And should you visit Midt Ljøsne Gård, a settlement nearby, you’ll supplement your dinner with warm bread that you’ll be able to bake by yourself in a traditional Norwegian oven. Besides these places, many travelers include to their European trips green tourism to the Hornindalsvatnet Lake not only for reasons of depth and picturesqueness but also because the water basin is one of the cleanest in Scandinavia. Clearness of its water stems from the fact that the river doesn’t feed from snowmelt rivers that head from glaciers. Rowing sport and swimming classes are organized there; and ichthyofauna of Hornindalsvatnet is unique, numerous fish species are endemic. It is worth staying not at a hotel but picking a spot on a camping plateau, a perfect place to start an environmental tour. It is on one of the most famous ones where tourists can find snow in the middle of summer and run up against wild deer who’ve come across rich pastures. However, everything you’ve seen so far fades when you stay tête à tête with him… with His Majesty the Fjord. Geirangerfjorden, gulf-fjord, is commonly recognized as the most beautiful; it penetrates mainland as deep as 20 kilometers to show an eye of an onlooker landscapes beyond description. Magic view over this wonder of nature opens from the Rock Flydalsjuvet (“The Pit of Fly Valley”) that is as if floating over the fjord. New Zealand gets its share of eco-tourists' attention. Your idea of consistently calm territories with green landscapes and lots of exotic animals will remain intact. However, its lands will be able to surprise and charm with their nature. 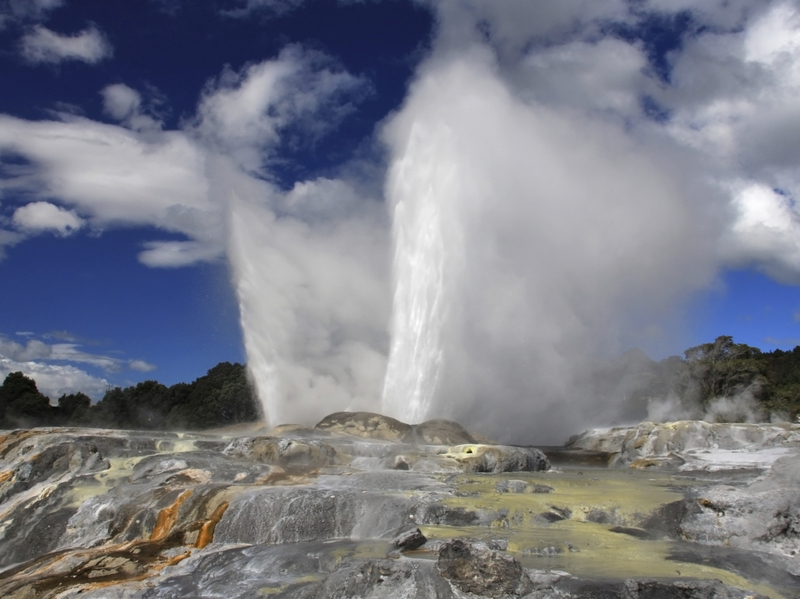 Make a stop at the city of Rotorua that is famous for its geysers used for providing heat and electricity to houses. One of the largest ones, Pohutu Geyser, is 30 meters high. In the nearest vicinity Blue and Green lakes are situated, they’re famous for their extraordinary water color. Blue one looks as if sky was poured into it and left unstirred. And Green one fascinates with its depth that can only be compared to eyes of an Eastern beauty. Besides these, a lake called Frying Pan Lake is expecting you in the valley; it emerged as a result of a powerful volcano eruption. The lake is constantly bubbling with carbon dioxide and hydrogen sulphide gases that make it look like it’s boiling and sound like hot oil splattering. To everyone who is interested in traditions we suggest a visit to Living Māori Village; Māori are native dwellers of New Zealand, they’ve preserved patriarchal lifestyle. There you’ll be confided secrets of sacred rituals, entertained with traditional music and treated with Māori dishes from all eternity: meat, fish, mussels, shellfish as well as sweet potatoes Kūmara. Upon having picked a route to your taste, start saving money and packing you backpack. And set on a journey not to look on metal towers or marble statues but to simply inhale fresh air and discover incredible beauty of this world.